Ninety-nine North Walsham men made the supreme sacrifice in the Great War – along with another 80 from a dozen neighbouring parishes. The losses in the villages were: Trunch (14), Bacton (10), Gimingham (10), Walcott (7), Felmingham (6), Edingthorpe (6), Bradfield (6), Swanton Abbot (6), Swafield (5), Witton (4), Westwick (3), Antingham (3). 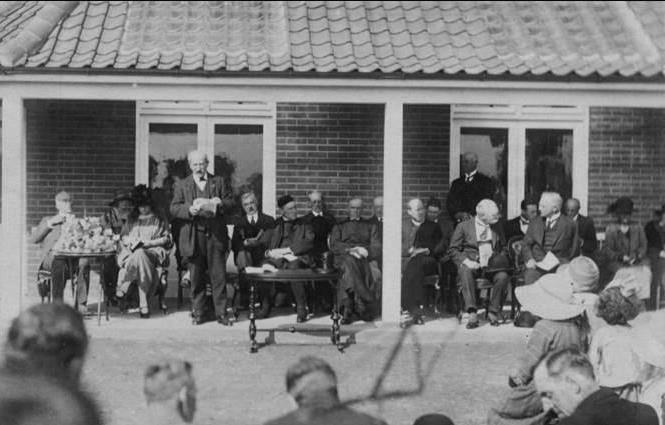 In 1919 a public meeting at North Walsham, chaired by local magistrate John Dixon agreed to establish a Cottage Hospital to honour the memory of the North Walsham men. The surrounding parishes were also asked to join the initiative and 12 agreed. Building cost was estimated at £4,000, and an endowment fund of £4,000 was required. The response to the appeal for subscriptions was excellent. A one acre site was given by Mrs. John Wilkinson of The Oaks. (The large house which used to be where Lidl’s now stands). September 1919, the foundation stone was laid by Lady Suffield. The building was delayed until 1923. The architect was Mr. Williamson, and the builders were Messrs. William Mace (£3,796) (This firm was still in existence up to a few years ago and was eventually taken over by Bullens). 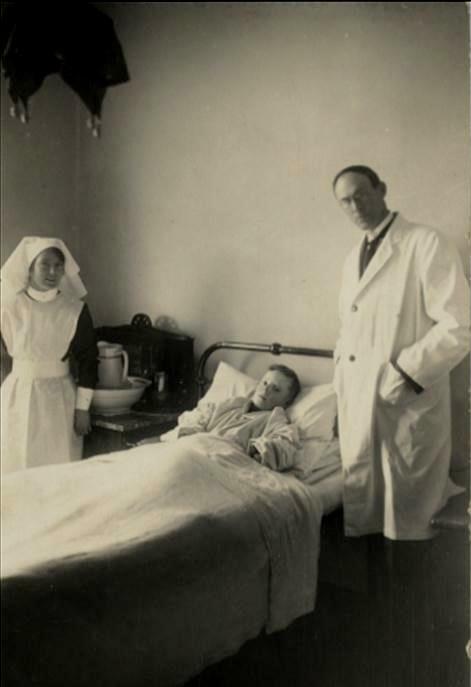 1924 The Hospital was opened in August by Her Highness Princess Marie Louise. Of the £8,700 total, North Walsham had contributed £7,185 with the rest coming from the 12 surrounding parishes. 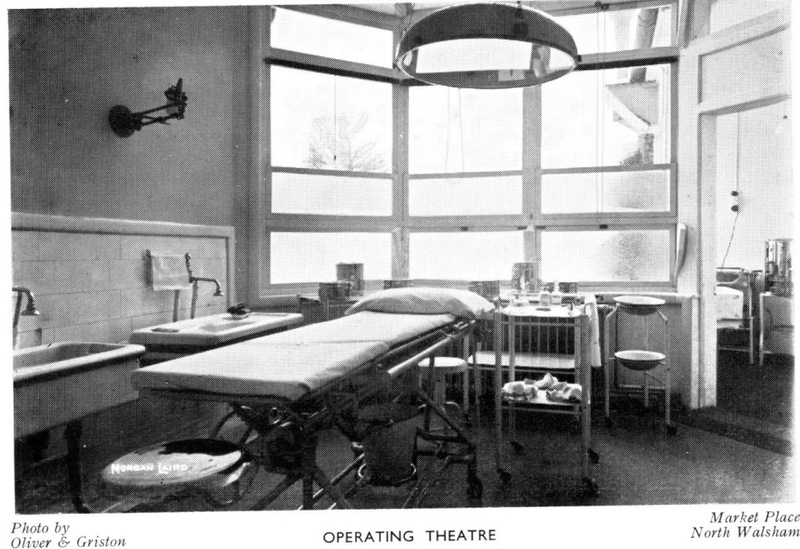 The original hospital comprised two single private wards and two public wards with three beds each, an operating theatre and offices. Extensions were added in the second year. 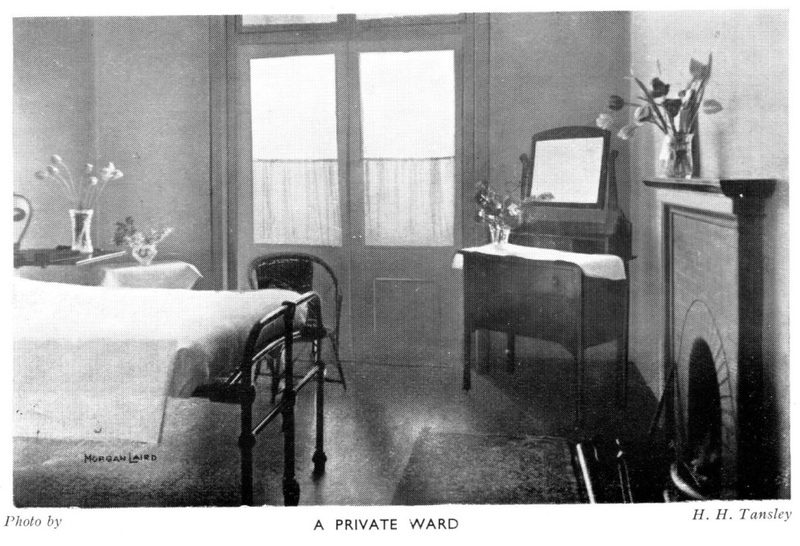 A Sterilising Room; X-Ray Room (Built by the local branch of the Sunday & Saturday Fund for £120); “John Dixon Emergency Ward” was provided and furnished by Mr. John Dixon for £200; Wireless set, with headphones for all the patients was installed and a bed was endowed in memory of the 1st./6th. Norfolks, by the Battalion stationed at North Walsham during the War. A tablet recording the endowment , was fixed over the bed paid for by Col. Prior. 1926/27 a further gift was made to the Trustees by Mr John Dixon conveying a 5-acre plot of land adjoining the Hospital garden, and was subject to the restriction that no building could be erected on the south part and it could not be used for any purpose that could cause a nuisance to patients and staff. 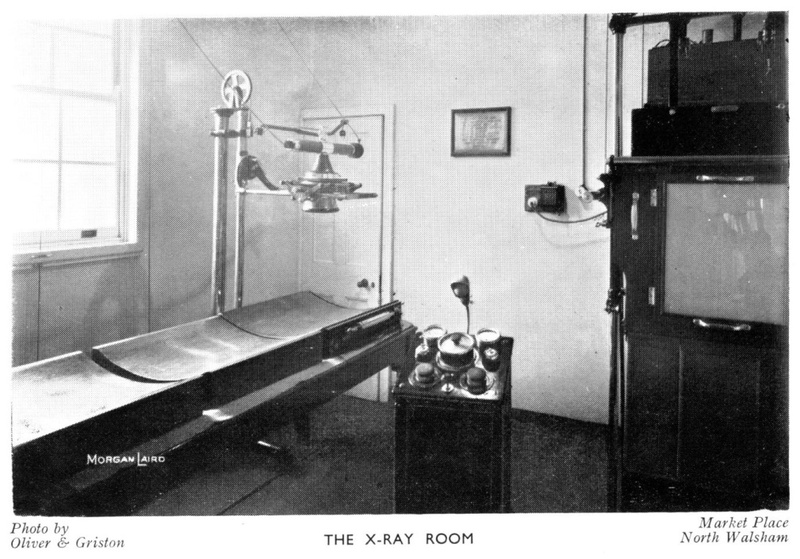 1927-28 electric power was installed and X-Ray rooms completed provided by the Sunday and Saturday Fund costing £450, and a Mr R.T. Booty gave a special gift of £500 for upkeep of grounds. 1928-29 Hot and cold water installed in the wards along with sluice rooms. 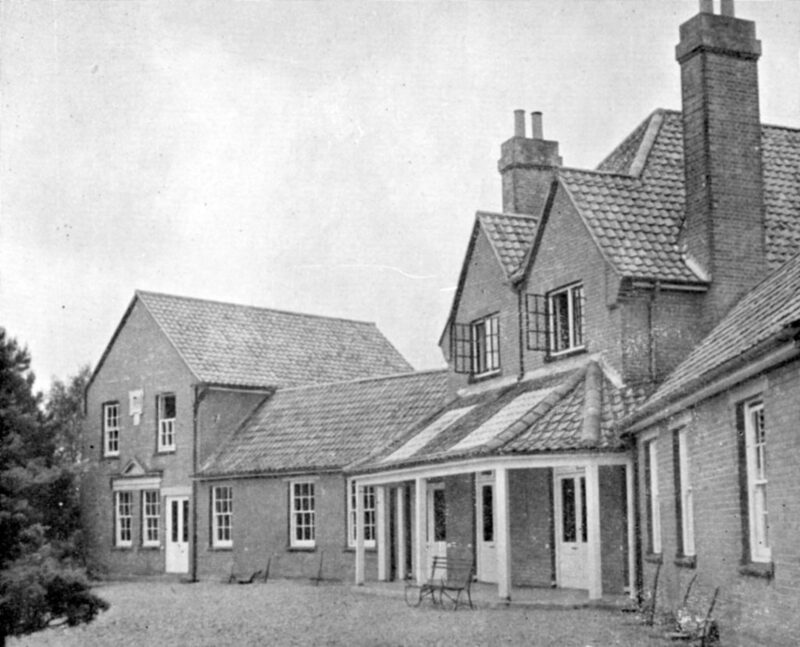 1931-32 A gift of land at Bacton enabled bathing facilities for hospital staff. 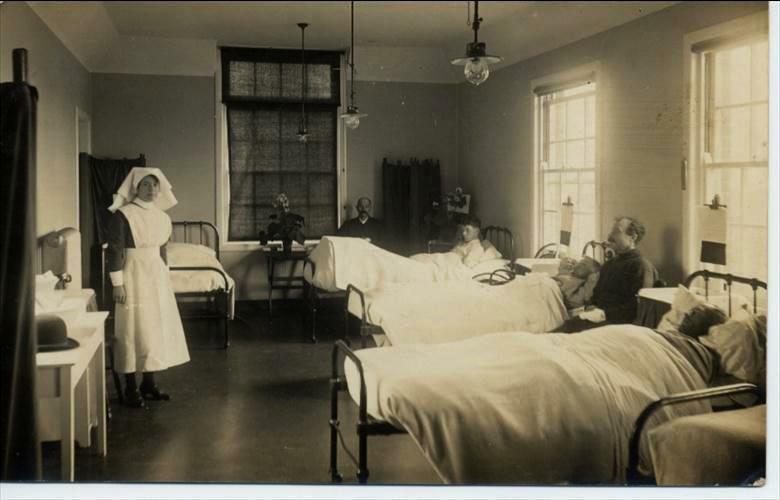 1935-36 Two main wards lengthened, and a reception room and children’s ward of three cots added. 1937-38 A cooker and water softening equipment added. The number of patients admitted over the year was 400, from 45 different parishes. Average stay was 13 days. Weekly cost of each bed was £2 13s 6d. 1947 The NHS took over all community hospitals including North Walsham and any covenants etc. were made void. 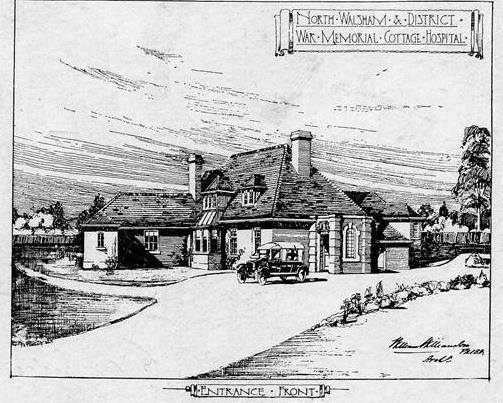 1949 On January 27th, following a meeting in the St. Nicholas Rooms, chaired by Mr N J A Griston, it was decided to form a League of Friends of North Walsham & District War Memorial Cottage Hospital. 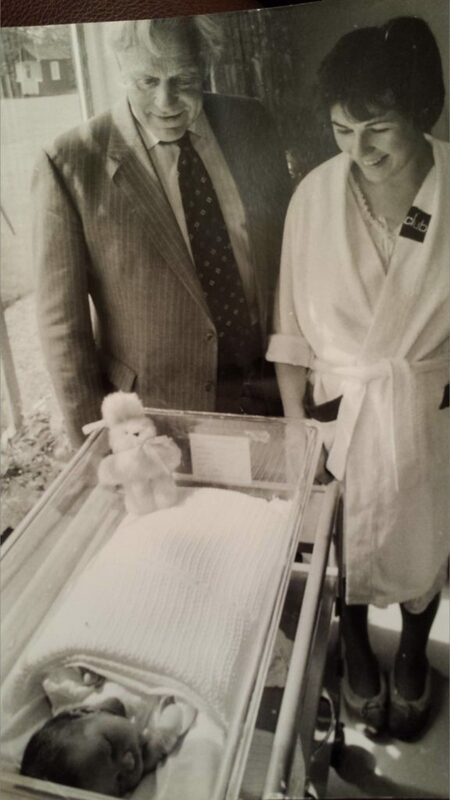 1985 The Hospital came under threat of closure, including the Maternity Ward. The threat was that a new Mental Health facility was required. 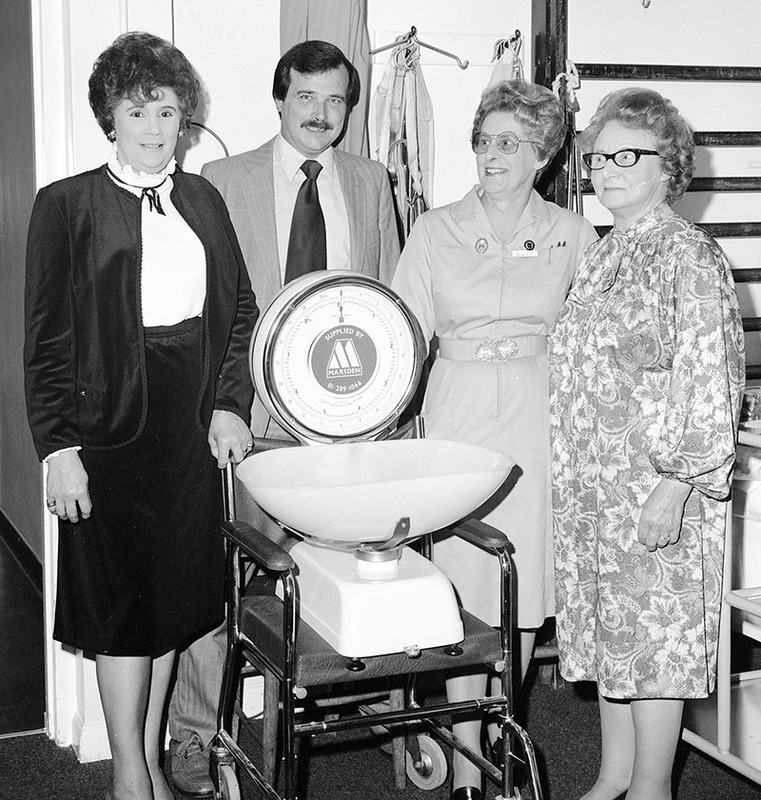 The Friends and members of SOBBS (Save Our Baby Beds) held a public meeting at the Community Centre with representatives of the then Health Authority and although the Maternity Unit was lost we managed to retain the hospital, due to our bringing to the authority’s notice that there was land they owned to the rear of the hospital. Since the above there have been many attempts to close the hospital but we have managed to fight them off. 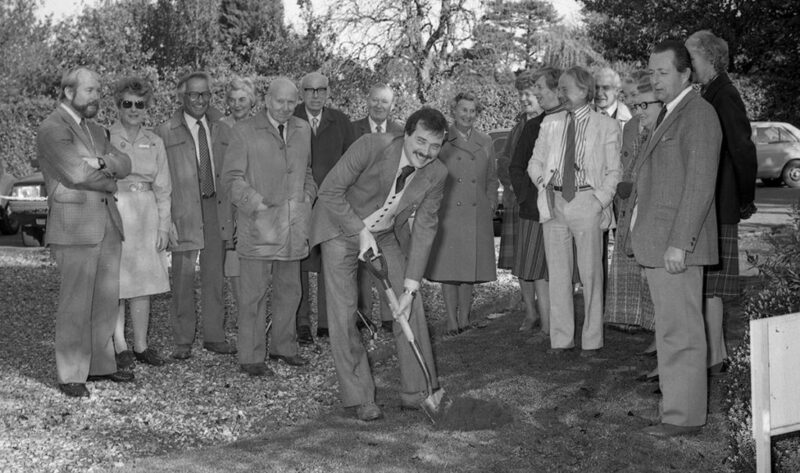 2006 The former North Norfolk Primary Care Trust came up with the idea of transferring the hospital to the vacated Rebecca House Mental Health Unit and also had the idea of creating a Centre of Clinical Excellence on the remainder of the site. This would have included Doctors Surgeries and various other health-related units. When the new Norfolk PCT was formed, this project was put on hold indefinitely. 2006/2007 – The hospital was in a situation where, yet again, we had to fight to save our hospital as we know it. The Norfolk PCT proposed that the hospital should be “bed free”. The Friends decided to join forces with the Town Council to fight this proposal and a Save Our Beds campaign was launched. Thanks to everyone’s efforts and the tremendous support from the public, and after a long campaign, including many Public Meetings and Protests, we won the day and the PCT’s decision was overturned and the hospital was saved. 2011- Contractors moved in and the old Cottage Hospital was demolished – but the War Memorial stone was carefully moved to the new site. 2012- The new North Walsham & District War Memorial Hospital was opened on August 1st by Mr Norman Lamb MP. The first patients had been admitted in the May.